The Evangelical Methodist Seminary was founded in 1989 by Dr. L. Fernando Palomo. 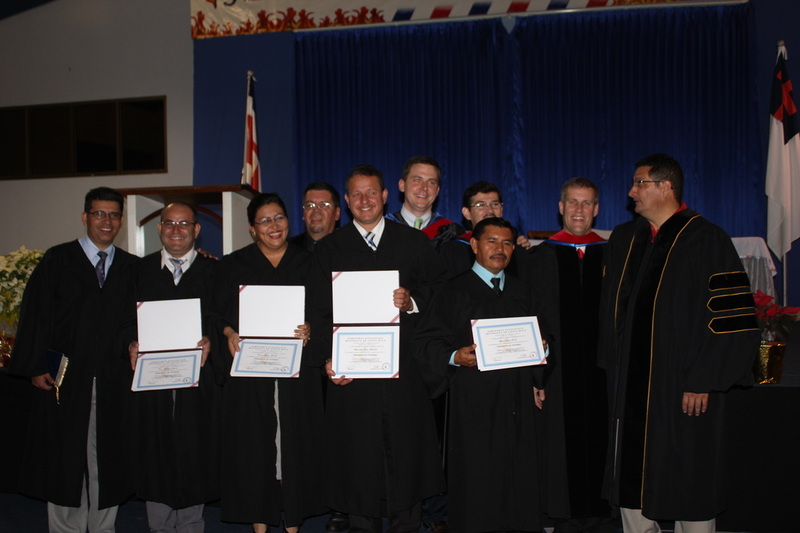 Since its inception, the seminary has played a vital role in the formation of pastors and leaders throughout the Methodist church in Costa Rica and even beyond. The seminary campus is located at the Methodist Conference Center in the city of Alajuela. (Only a few minutes from Juan Santamaria International airport.) Current enrollment is approximately 45 full time students who attend one week intensive classes the first week of every month at our main campus while another 300 students attend classes in ten regional locations. ​Ray serves as a fulltime professor at the seminary, teaching classes in Church History, Wesleyan Theology, Inductive Bible Study, New Testament, the Pentateuch, Biblical Doctrine of Holiness, Missions and Anthropology. During Ray's 22 years of ministry with the seminary, he has witnessed the growth of the seminary and how the Lord has used this institution in the formation and preparation of full time church leaders.